Before WordPress matured, I always created content management systems (CMS) from scratch for my valued customers. I have tried Drupal, Joomla and older versions of WordPress, but time after time I came to the conclusion that those systems were either too heavy, or a lot of hacking was required to get the system to satisfy to the needs of my customers.  Since WordPress 3.0, though, I have nothing but praise for this great CMS. Both for developers and end users (you) WordPress is one of the most simple systems that exist. This means that I, as a developer, can easily and quickly convert the system to your needs. It’s true that you, the customer, will have to learn to work with WordPress, but fear not! WordPress is without doubt the most comprehensive out-of-the-box system of our time. In less than 10 minutes I can teach you how to manage your entire website yourself. WordPress is the youngest and fastest growing CMS for the moment, there are more websites running WordPress than all other big CMSystems combined! (http://trends.builtwith.com/cms.) So learning WordPress now will definitely come in handy in the future.